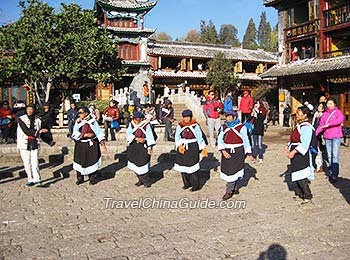 Three days in this Lijiang vacation package are sufficient for an in-depth exploration to Lijiang old town and should include attending a Naxi musical performance and observance of the Naxi life style highlighted by their hard working women. In this 5-day Lijiang tour to Shangri-La, you can catch sight of both the humanistic landscape of Lijiang Old Town and Songzanlin Monastery, and the natural scenery of Tiger Leaping Gorge. This hiking tour not only provides you the natural landscape of lofty mountains and high ranges covered with lush verdant trees, but also shows the spectacular panorama of the precipitous Tiger Leaping Gorge. Take this Lijiang day trip to see the significant scenery of the Jade Dragon Snow Mountain as well as its plateau meadows and deep valleys; you will also be astonished by the Impression Lijiang Show performed by a cast of local peasants against the snow mountain. 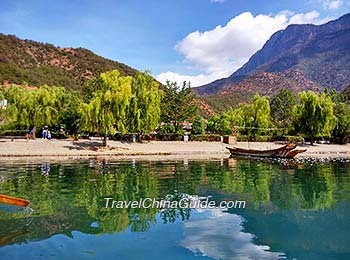 Following this leisure 5-day itinerary, you will not only have a glimpse of local lifestyle at Lijiang Old City, Baisha Village and Shaxi Ancient Town, but also feel the solemnity of the Jade Dragon Snow Mountain, appreciate sculptures and carvings at Shizhongshan Grottoes, and drift on Erhai Lake by boat. 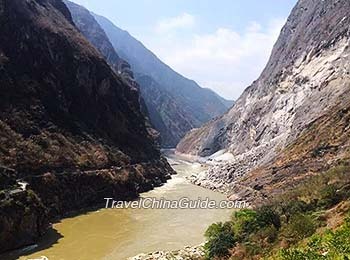 Follow our guide to set out for an exciting hiking tour to the upper part of the Tiger Leaping Gorge, to feel the power of the turbulent Jinsha River when it roars through the deep valley. The picturesque Lugu Lake has attracted numerous visitors from home and abroad every year. Here, please follow our guide to have a boat ride on the lucid lake and also get to know the unique customs of the local Mosuo people. For more related ground tour packages, please click Hiking Adventure, Golf Vacation and Bicycle Routes. 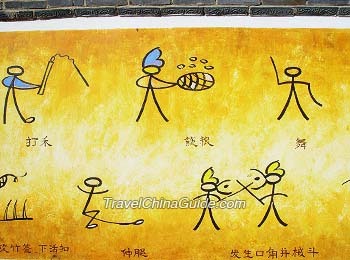 Can I combine kunming-dali-lijiang & Yuanyang tour for about 5 days? What is your suggestions? 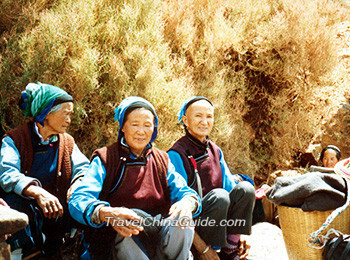 According to my experience, 5 days are enough for you to visit Kunming, Dali and Lijiang. However, it will be a little tight if you also want to go to Yuanyang as I have checked that you need at least 2 days to tour from Kunming to Yuanyang. Therefore, you may need around 7 days for your trip to Kunming, Dali, Lijiang and Yuanyang. We would like to stay two nights along the gorge on the 15th and 16th of February 2017. Is it necessary to book in advance? If so, could you recommend two different places to stay? What time do the buses come back to LJ? If we walk to Daju, will the buses come back from there? Or must we walk back to Qiaotou to take the bus? I am also aware that you are able to leave your luggage at Qiaotou. Is this still possible? 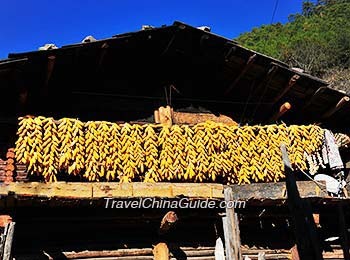 There are several lodges that you can stay along the Tiger Leaping Gorge. You are recommended to stay at the Tea Horse Guest House or Half Way Guest House. However, some people says that the Half Way do not accept reservation now, so you can call them when you arrive at Tea Horse Guest House to see if there is still room or not, if not, just stay at the Tea Horse, Half Way is about one hour's walk from the Tea Horse. The next night you can stay at a guesthouse at Xincun. Some stores and hotels at Qiaotou provide the left luggage service, you can leave your luggage there. From Daju, you can take bus at Passenger Transport Terminal back to Lijiang, the bus is available in the morning and at noon, you may ask the locals for the specific schedule on arrival. 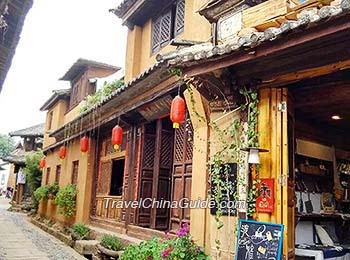 I will visit this place from Lijiang by rental car for one day trip. What is your advise. What place I have to visit near Tiger Leaping Gorge? You can charter a car to Tiger Leaping Gorge from your hotel and the fare is around CNY400-500 per day. The gorge is divided into three sections. For a one day trip, you can visit the upper section. If you still have time, you may also visit the First Bend on the Yangtze River. 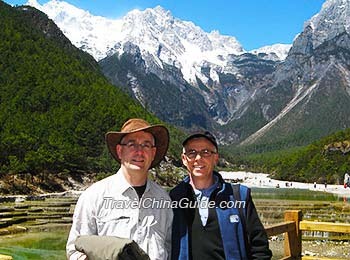 1) Is end of March a good time to visit Lijiang? 2)Esp I want to hike the Tiger Leaping Gorge. How many days would that take? 3) What would you recommend to do in 4-day? 4) Is there a fast train from Shanghai? Yes. March is a good time to visit LJ. As for the Tiger Leaping Gorge hike, it normally takes 2 or 3 days to hike the upper and middle gorge. For your 4-day stay, you may visit Jade Dragon Snow Mountain, Baisha Village, Shuhe Ancient Town or LJ Old Town, Tiger Leaping Gorge, Lugu Lake, etc. There is no direct fast train from SH to LJ. You may take train or flight to Kunming first and then transfer to LJ. I would like to visit both of them. Can I do it both in one day - unfortunately, I do not have much time. I will be there at the end of March. Is it possible if I hire a taxi? Can I arrange it easily from Lijiang? If so, how much would it cost? Well, one day is too short to cover the two scenic spots. Hence, you are advised to skip the latter. You can charter a private car to Tiger Leaping Gorge. The fare may be CNY 400-500 for a round trip. Thank you, Mary, for your quick response. Is it possible to do LJ- Gorge - Baishuitai - Shangri-la? If so, I would like to know what you could arrange for me. Also, is there a bus to get me to Kunming from Shangri-la - preferably over night? Yes, it is possible. You can charter a car to Gorge from LJ. After visiting around, you can take a bus to Baishuitai, which departs at 14:00 every day. Or, you can charter a car to Baishuitai for about CNY 200-300. Afterwards, you can charter a car to Shangri-la for about CNY 350-400. Thanks for the useful information. I still have a bit of time and so, will see how I may be able to squeeze my overall vacation time so that I could allocate two days to see both.